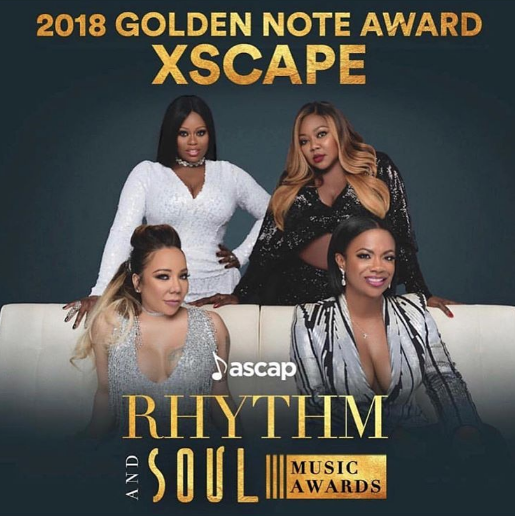 Xscape will be presented with ASCAP's 2018 Golden Note Award next month. All four original members will receive their honor at the 31st annual Rhythm & Soul Music Awards. Tameka "Tiny" Harris posted the picture below on her Instagram showing her gratitude. Other artists previously given the Golden Note Award include Jay-Z, Lauryn Hill, Alicia Keys, and Usher. The ASCAP 31st annual Rhythm & Soul Music Awards will be June 21st in Los Angeles.